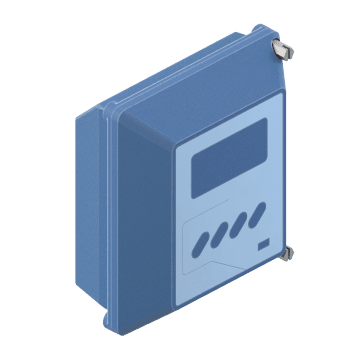 Measure the flow rate for a wide variety of particle- or bubble-containing gases or liquids with these ultrasonic Doppler flowmeters. These devices emit ultrasonic waves using transducers that are mounted outside of the pipe or tube containing the material being measured. The waves reflect off of the particles or bubbles, and the flowmeter measures the shift in the reflected waves to calculate velocity. 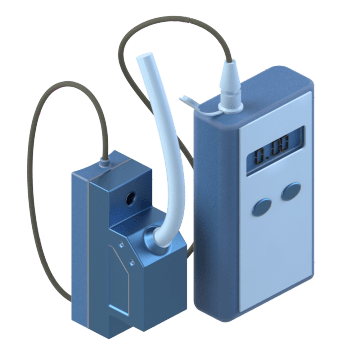 These devices have no moving parts so there is no mechanical wear, and they do not touch the substance in the pipes, eliminating compatibility of materials concerns. 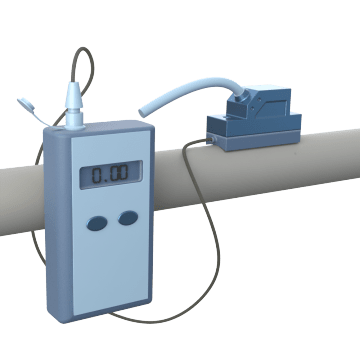 Clamp these ultrasonic flowmeters onto pipes that you want to monitor. Perform inspections or other tasks with these convenient handheld Doppler flowmeters. These portable devices enable you to measure flows in multiple pipes in different locations in your facility or in the field.